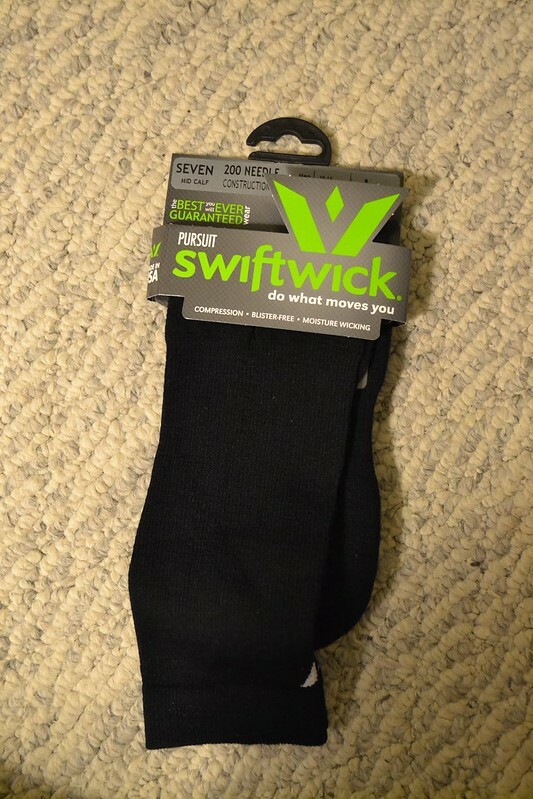 Remember last week, when we posted our first review of Swiftwick’s socks? I mentioned that there were two more pairs to check out, and here they are. The only sock on the market created from post-industrial recycled nylon, the SUSTAIN Line is our finest tribute to our commitment to the planet and the earth-conscious athlete in us all. From our refusal to use chemicals to wick away moisture, to our commitment to being made in the USA – we strive to be carbon neutral in our approach. Our philosophy is to conserve and recycle, while creating the best products you will ever wear, guaranteed. 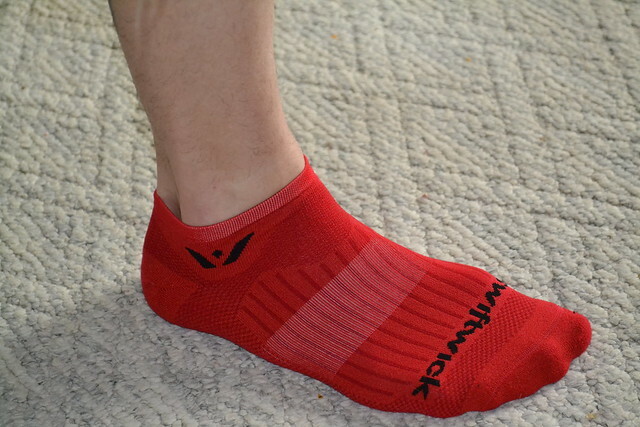 Of the Swiftwick socks I received to review, these were my favorites — the fabric is super-soft against my skin, they wick sweat perfectly, the cuff was just the right length, and they are thin enough to fit nicely in tight cycling shoes. I was a bit skeptical about the recycled nylon material at first, but it has proven to be incredibly durable…although it does collect static electricity and attracts dog hair and fuzz in droves when I’m padding around the house. The Sustain’s compression helped cradle my foot arches and helped prevent cramping (as I mentioned in the previous review). Unique in the Swiftwick family, the VIBE line is a little more plush, and a lot more colorful. Using a half height terry loop throughout the footbed, the VIBE offers a highly consistent, thicker feeling with linked toe construction and slightly less compression. To carry the color, it’s flat knit, super thin upper is smooth and snug. The footbed area of the Vibe socks is a bit thicker than the other pairs, but not unreasonably so. 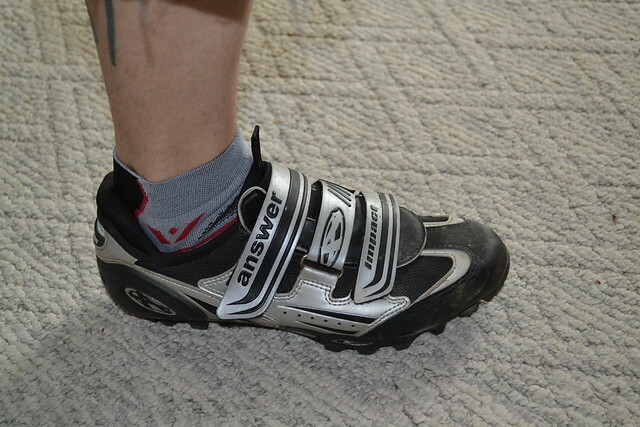 It’s very comfortable, and the thin upper ensures they will fit nicely into the tightest, low-volume cycling shoes. That extra cush is perfect for hike-a-bikes and for rides that include a bit of standing around or walking (my typical commutes, at least). Again, the compression features really do make a difference, even if the Vibe socks don’t have as strong a “hug” against my feet. And, they look great. The Sustain socks retail between $11.99 and $16.99, depending on cuff length. The Vibes retail for $12.99 to $14.99, depending on cuff length. 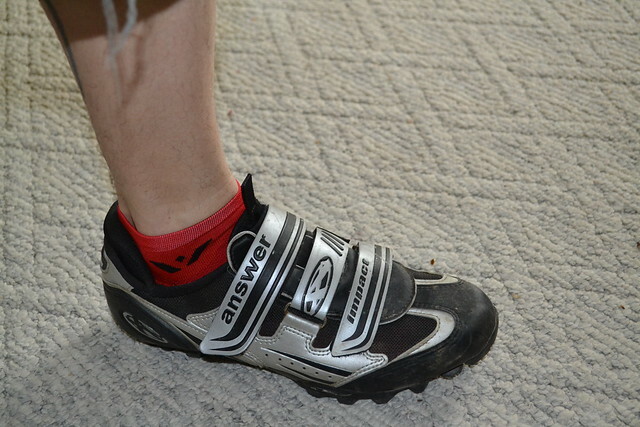 All in all, the Swiftwick socks are a great value and their features really make a difference on bike rides. Anytime I can avoid foot cramping makes me a happy cyclist! Check out Swiftwick’s full line of socks for a variety of sports by visiting their website. A couple of months ago, I received a treasure trove of socks to test from Swiftwick‘s PR person. We got four different styles to try out, so for today’s review we’re going to start with the shortest and longest of the four pairs. The ASPIRE™ Line is thin and light for serious runners, cyclists and athletes of any sport. We eliminated the toe seam using linked-toe technology, which means no bunching in the toe box. Made of a thin synthetic, the Aspires are available in 9 colors, 5 cuff lengths (Zero, 1″, 4″, 7″, and 12″) and four sizes. There is even a military-compliant version, which means (I think) no visible logo on the cuffs. The Aspire Zeros fit my feet great. I have an unconscious tendency to curl my toes inside my shoes when I am battling up a hill or really putting down the tempo, and that leads to cramps in my toes and foot arches. The compression nature of the Aspire socks helped keep me from doing that. See the whitish band visible under the surface on the photo above? That’s additional elastic that helps support the arch of my foot. That and the ribbing make for a very comfortable, supportive fit, indeed. My foot felt like one solid “unit”, if you can imagine that. The omission of the toe seam means that even in snug shoes, there is no painful chafing. I think we’ve all experienced socks with pronounced seams in that area, and that’s no fun, especially when you’re out on your bike. As far as for the cuff length, it’s just a hair too short for my taste — I prefer low cycling socks, but the Zeros were a little too close to the mouth of my shoes, and if they slipped down, there was a bit of chafing around my ankle. I think the Aspire Ones would have been perfect. Still, these lightweights are great on really warm days! Socks born from the same technology and spirit of our synthetic lines with two key differences: The PURSUIT(TM) line comes fused with the natural and thermal properties of super fine, 36 micron Merino Wool sourced from farmers right here in America AND is the only 200-needle compression wool sock on the market. In short, these socks are built of the finest, by the finest. The Pursuits are made from a blend of Merino wool and synthetic (64% Merino wool, 29% nylon, 7% Spandex). That lends them a luxurious feel against the skin, and makes the socks thicker — perfect for cooler days, but plenty fine for warm days, too, as wool helps regulate the temps. They are available in four sizes, six colors, and six cuff lengths (Zero, 1″, 2″, 4″, 7″, and 12″). The Sevens have a bit of an unappealing “Lance Armstrong’s tall black socks” feel when worn with shorts and cycling shoes. However, the Pursuits in this length are PERFECT for wear with your office attire and regular shoes — they look, but certainly don’t feel, like regular old black socks. 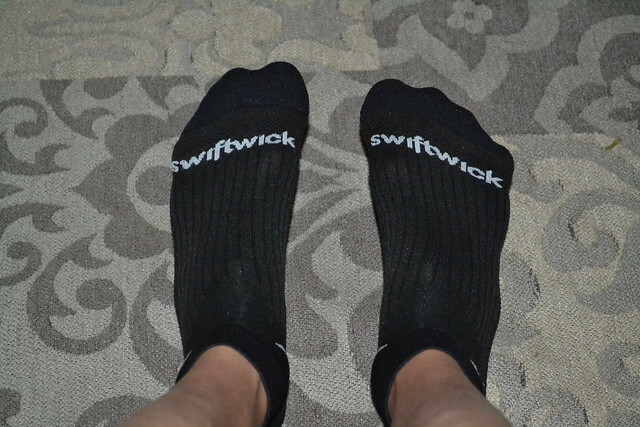 All the compression benefits of Swiftwick’s other sock lines are here, and the material feels great against my skin. 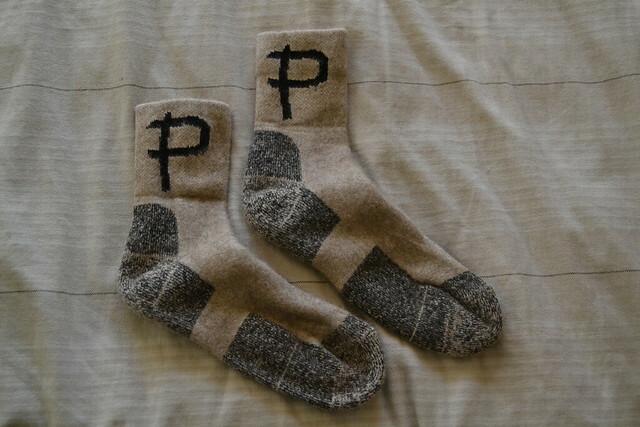 I’ve been wearing these socks on cooler days and with regular street attire. They’re not bad on hotter days, either, but I like a thinner sock on the truly hot days. The Swiftwick Aspires range between $12.99 and $35.99, depending on length, and the Pursuits range from $15.99 to $34.99, depending on length. That represents a pretty great value, as both pairs are made from great materials and have the advanced compression and anti-chafe features baked right in. Swiftwick makes a huge variety of other socks, too, all in a host of colors. Check them out by visiting their website. Next week, we’ll have a review of the other two pairs of Swiftwicks. Stay tuned! Winter’s here, and it’s time to suit up for battling the cold. 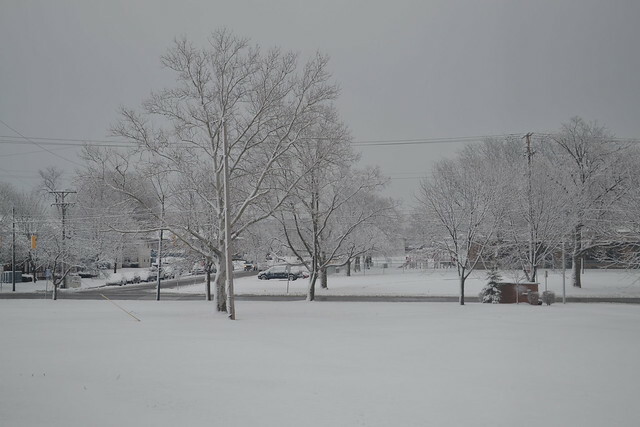 I’m not talking to my many Florida friends here — I am looking at you, O Winter Warriors! 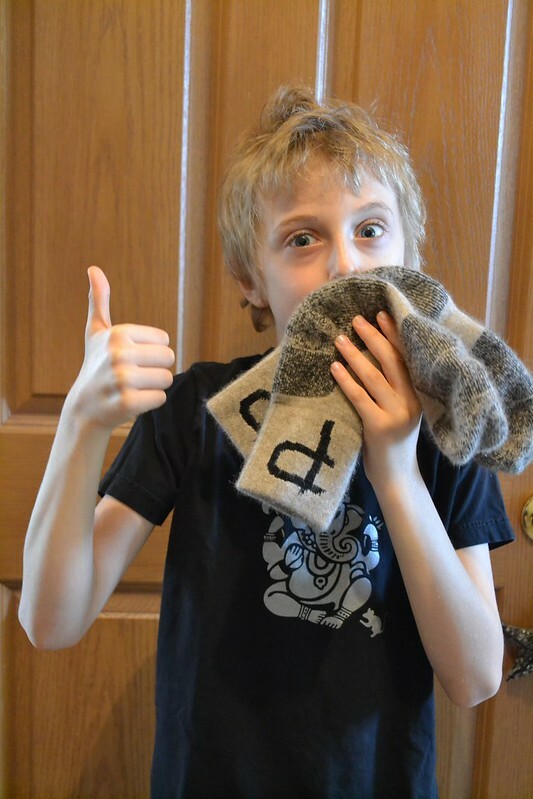 A few weeks ago, Duke from Pearly’s Possum Socks sent a pair of their cold-weather riding socks for us to test out. I had heard of these; in fact, Jeremy over at our sister site Mtnbikeriders.com reviewed a pair about a year ago. I remember being very intrigued by socks made from “exotic” materials, so when the opportunity came to try these out, I volunteered myself in a heartbeat! Let’s get something straight right off the bat, though…this isn’t the possum most of us are familiar with. Not the late-night garbage can-marauding, cat food-stealing, angry hissing variety found in the United States, but rather the cute and cuddly-looking New Zealand Brushtail Possum. Cute as it may look, it’s considered an agricultural pest in NZ. The socks are THICK…the manufacturer states that they will compress into any shoe, but I will warn those of you with very low-volume shoes that these socks do take up some precious real estate. I myself had no issues, but I did have to adjust the straps of my road and mountain shoes quite a bit wider than normal. And LORD are these socks luxurious…they feel fantastic on the foot; soft and utterly itch-free. As you can see, the socks have about a 4″ cuff. For really cold rides, I thought to myself that I’d enjoy a little more cuff length, but I didn’t have any problems with drafts around my ankles. Extra length would have merely been a guilty pleasure (to be fair, I’ve spent a bit of time fantasizing about a possum/wool bodysuit on the frostiest days). While the socks are not windproof, they’re tightly-woven. So far, I have taken them on several rides with temps just above freezing…all this while wearing my regular vented cycling shoes and no other foot coverings. The Possum Socks are warm enough for about 2 hours of riding before I started getting tingly toes. Suffice it to say that I am fairly blown away by that! In winter-weight shoes, or in shoes with foot covers, these socks should handle temperatures much lower than I experienced, and I hope to test that theory out as winter progresses. Jack: What would you say to the naysayers who might balk at the price of these socks? Duke: We typically ask them how much their bike cost, and how much their shoes cost. And then, how much are comfortable feet worth? Generally, the answer is….well yeah if they actually keep my feet warm and comfortable, it doesn’t really matter what they cost. Last year I had this great exchange with James McLean down in Santa Barbara. He was like “Are you crazy? I use plastic bags when its cold! ” And I was “James, how much did your bike cost?” And he goes “$10,000” and I go “You are riding a $10,000 bike with your feet in plastic bags?? ?” Then I sent him a pair of socks and now he is a champion of ours. 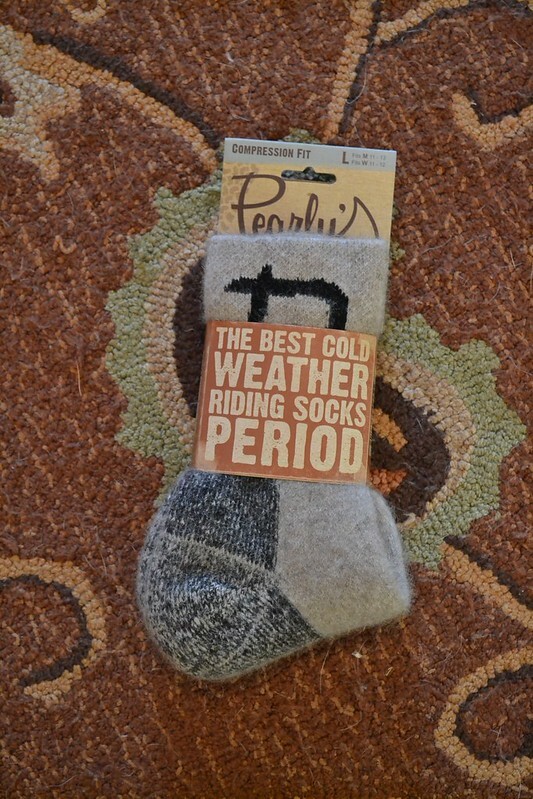 Pearly’s Possum Socks are a luxurious way to keep your feet warm on cold rides. Yes, they are expensive, but they fully stand up to the claims the company puts forth. I look forward to slipping into them all winter long! Visit Pearly’s website for a pair of your own, or stop by your local shop and demand they carry them. They are worth the price of admission.